Superdry women’s Elsworth lace graphic t-shirt. 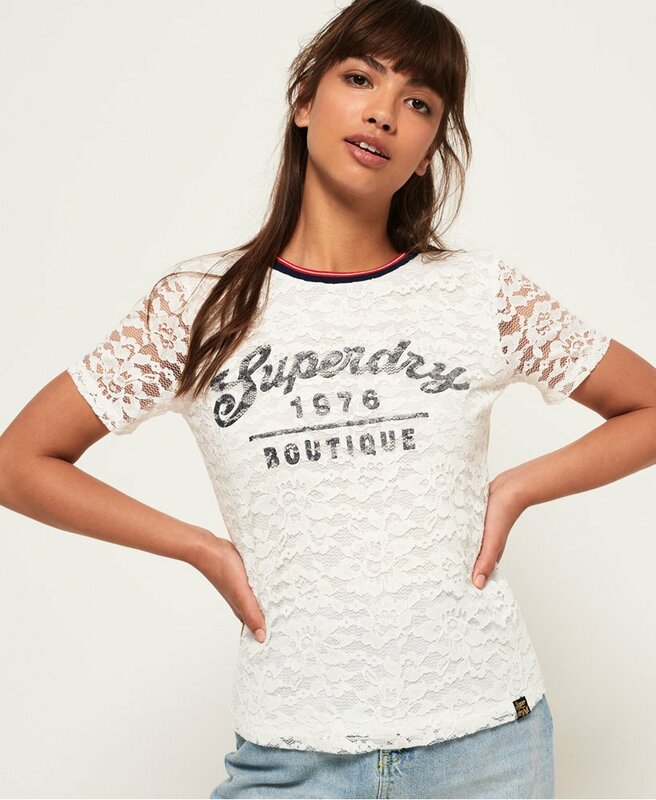 A cotton blend t-shirt with a lace overlay and a Superdry glitter logo graphic across the front. The unique tee also has a stripe design neckline and is finished off with a logo tab on the hem.